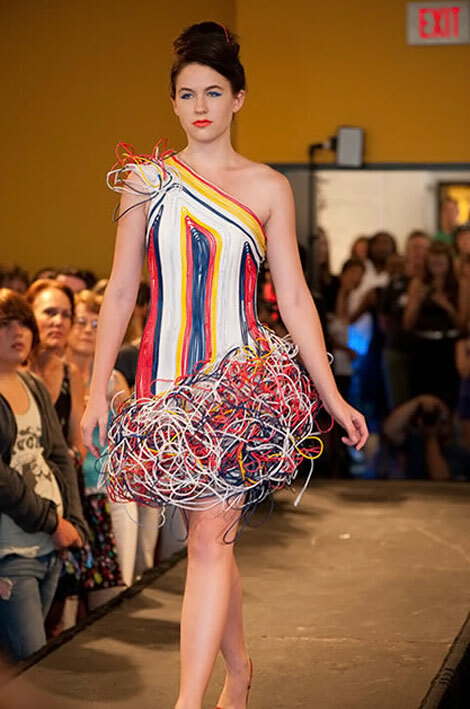 Ready For The Recycled Computer Wiring Dress? How far are you willing to go to help and protect the environment? How deep are you ready to dig just to recycle and reuse? How far and loud are you willing to affirm your ecofight? I like looking at it for the artistic value and the work that went into making it but I would never wish to wear it.